MIDTOWN EAST, Manhattan (WABC) -- The NYPD has released surveillance images of the man suspected of killing another man during a dispute near Bryant Park Saturday morning. Investigators say 27-year-old Terrance Walker, who was homeless, was found with a gunshot wound to the torso near West 40th Street and Sixth Avenue. There is still no word on the motive. Police say the gunman wandered into a deli two blocks south of the shooting scene about an hour later. 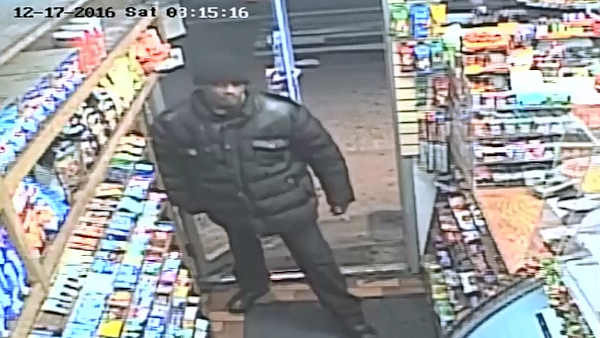 He was spotted on surveillance in a deli at 6th Avenue and West 38th Street around 3:15 a.m. He was also spotted on surveillance in a subway corridor. Police describe the suspect as: male, black, 6'0" to 6'2", in his 20's to 30's, goatee, wearing a heavy black coat, a black cap, black pants, black shoes.